Watch as Cisco Engineers Deep Dive into Cisco Cloud Networking. 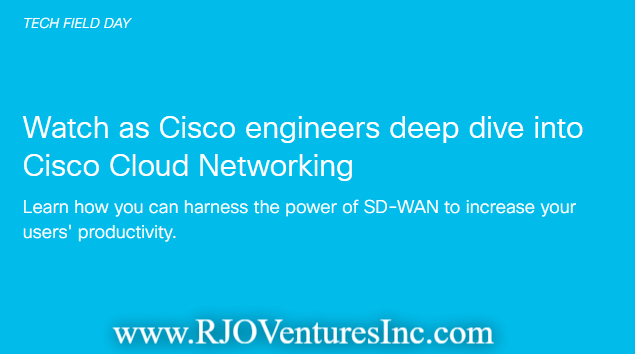 Featured at RJO Ventures, Inc. (#RJOVenturesInc); An Authorized Cisco Partner. Learn how you can harness the power of SD-WAN to increase your users' productivity.